Personal identity — the conscious awareness of self — originates in the cleavage of a nebulous universe into “self” and “world”. As the brain develops and diverse capabilities emerge, many of which are entwined with “self”, personal identity becomes more complex. Its functions and features transform. John Locke made an initial contribution, the notion that personal identity depends on a continuous autobiographical memory. The list below starts with autobiographical memory, and adds five additional components. Autobiographical identity “I was born; I will live on a linear trajectory through space and time; I remember many of the events along that timeline. I will die sometime in the future” This is essentially Locke’s contribution.I am the person who lived the narrative of my life. (Locke on personal identity). Beliefs “I believe that the earth is round, that the sun rose yesterday, that it will rise tomorrow, and that my friends are true friends. I am a liberal, and believe in human potential and human progress. I believe I am not a brain in a vat.” I use “belief” as a Bayesian term, but I think it corresponds with common usage. In this line of thinking, there are no “facts” only beliefs with different probabilities of certainty. I might say “I believe the Affordable Care Act will work” and “I believe know that gravity is the force that keeps me grounded”. While I might say “I know” for some statements, treating them as facts (as one might say, “I know that gravity keeps me grounded”), they are really strong beliefs. Continuing this line of thinking the “knowledge” that we hold in our brains is a single complex Bayesian structure, with many interacting components. 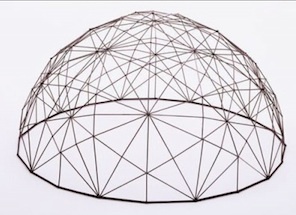 In an earlier post, I described this composite structure, metaphorically, as a geodesic (wishful and rational beliefs). For example, I tend to believe the statements of prominent physicists. If, for some reason, I came to believe that physics was a cult, and physicists were liars and fools, many of my beliefs about the nature of the world would be undermined. Such fundamental changes rarely occur. My belief structure is largely stable. While this structure changes daily, it changes slowly. Yet, over time, the evolution of this belief structure can change dramatically, and still be part of my identity. I can, roughly, explore my autobiography and recall past belief states, recognizing them as part of my identity, yet different from my current belief structure. For example, I can remember when I believed that Santa Claus was real and that God had a white beard (I had a picture bible). This is a large topic that needs further exploration. For the present I’ll assert that a coherent, unified belief structure is a component of personal identity. Conscious identity “I am the author of my subjective experience.” This can be called “conscious agency”, the internal ability to direct stream of consciousness. This borders on “free will” and interacts with all other critical features. This is here for two reasons. First, to reinforce the role of consciousness in identity (although it may be implicit in the other features). Second, because the sense of authorship and mental agency is important. Note that this is not covered by “agency”, above, because of the felt ability to create imagined scenes, actions and concepts. First, the list is tentative and speculative. I invite comments and critique. Second, the “components” may not be independent. There are clear interactions. For example, consciousness is involved in almost all. The boundary conditions may not be crisp or ideal. Third, feature descriptions are uneven. The longest is “beliefs”. Self-evident features have short descriptions. Fourth, several items on the list are unconventional, most notably the last two (‘beliefs’ and ‘conscious identity’. Following Locke, a core features of object identity are singularity and continuity. This general concept applies to personal identity. Although I have not applied this criterion in the list, above, it holds up fairly well. Certainly applies to the classic components of personal identity, consciousness (autobiography) and body. Personal identity can be approached from a first person or a third person perspective — “I can throw a ball” vs “he can throw a ball”. First person seems primary, second person is frequently inferred, frequently via language. I think the following works: If one constructs a sentence beginning with “I”, you will be able to assign it one of the categories above. (Same with “he” or “she”). Each item on the list is followed by a first person narrative example beginning with “I”. My guess is that some will feel that combining #1 and #2 (conscious and body continuity) with items like “social identity” is a categorical mistake: these are different things, apples and oranges that happen to go by the same name. If so, I’d like clarity on the issue. Another issue is the relation of property to personal identity. Are you what you own? What counts as “property”? Its pretty clear that your car or house may be your property, but is not you. But there may be borderline cases. What about the information in your DNA code? Can personal identity, or features of components of PI, be information? In the list above, it can be argued that a set of beliefs could be coded as information. 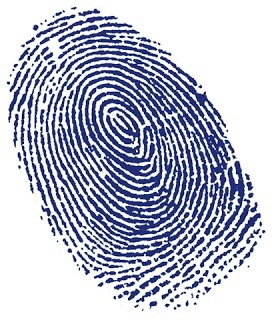 A fingerprint is information. The DNA code is certainly information. Could these be part PI? Are they personal property? Another topic is body image and appearance. These are certainly part of the sense of self. In what respects are they PI? Could they be property? My first inclination is to call your DNA code property. You did not create it, you inherited it. Appearance and body image are more difficult. Perhaps they fall under list item 2, Body Identity. This entry was posted in Consciousness, Personal Identity, Philosophy by jkubie. Bookmark the permalink. This is such a huge topic that it’s hard to give shape to it as a whole. It might be interesting to read the introductory chapter of Roy Baumeister’s “The Self in Social Psychology” and think about how your ideas differ from the ideas that are reviewed there. 2. work on my thoughts about personal identity. One of the problems with blogs is that they are both diaries and essays. Writing aimed at yourself, getting thoughts in writing, and aimed at others. This post is mostly diary, asking for thoughts and feedback. Very little, almost none, is strong opinion. More of a proposed outline. I did something similar in an early post, Features of Consciousness that worked fairly well. You are completely correct that this is a huge topic. Thinking further, the introduction to this post suggests that an individual’s representation of ‘self’ initially occupies half of conceptual space. Perhaps it stays that large. Thinking further, what I’m probably doing is focusing on the first-person account of personal identity: the representation of self by self. Here, uniqueness is not the issue, nor is some of the esoteric, hypothetical questions about brain transplants and brain duplications. These are third-party questions; questions for outside observers. After reading your comment I wondered which of the components were appropriate or inappropriate and reconsidered whether they should be folded into each other. I thought of another categorization scheme, which roughly follows categories of knowledge: self as represented in mind; self as an object in the natural world; and self as information. 1. since your reply I’ve read some of Shawn Gallagher’s writing, where he makes a significant distinction between schema and self image. These differ primarily in first person vs third person descriptions. Not directly relevant, but important to keep track of these words! 2. Something can be a component of personal identity, but not, in itself, offer singularity and continuity in time. In other words, things can tend towards uniqueness, but not guarantee uniqueness. In current conceptions of (Newtonian?) physics, the only guarantee of uniqueness is occupancy of a location at a moment in time. Across moments in time, the guarantee of uniqueness is a continuous trajectory without bifurcation. This would seem line a “proof” that the central criterion of personal identity is the same body. Perhaps. My experience is that it’s hard to get comments on posts about large topics, because it’s hard for a reader to decide what to focus on. Anyway, there’s one aspect I’d like to bring out: I think it’s important to maintain a distinction between “personal identity” and “self”. The concept of personal identity is dependent on the concept of identity in general. You can’t explain what makes a person the same person at different times unless you can first explain what makes a rock the same rock at different times. In fact my view is that there are no important differences between those questions. Most philosophers disagree, but I’m not convinced by their arguments. The concept of “self” seems even more challenging. I’ve written an essay about it, “I myself and my self”, which can be found on my personal site at http://weskaggs.net/?p=44. The “self-schema” that social psychologists talk about — that is, the body of belief, knowledge, and attitude one has regarding oneself — is a more tractable thing, but even that is difficult to pin down. Locke’s initial treatment of “personal identity” is preceded by his general discussion of “identity” (which covers ‘rock’). I’ll go and read it again. Locke, of course, emphasizes the existence of “consciousness” for personal identity, making it a lot different from “rock”. Some, like Dennett, feel chasing ‘consciousness’ may be a waste. For them and you, there may not be a distinction between identity and personal identity. I’m going to re-read Locke, and your essay, but my memory of Lockean identity is that entails specific location and time. Implicit is that you can trace a smooth trajectory of location across time (although I don’t think he says that). Adding “consciousness” makes it personal identity. He’s mostly credited with a pure psychological concept of personal identity, but perhaps it’s an amalgam of body and psyche. What I’ve been focusing on in the last few days is personal identity as viewed from the inside (first person) and as viewed from the outside (third person). The post is focuses on a first-person view. For any definition that includes consciousness, this seems primary. The third person view is an inference about first-person consciousness. I enjoyed your distinctions. I loved equating “conscious identity” and “conscious agency”, and would suggest moving that section right below “Sense of Agency” because they work in synergy – a sort-of mind-body pair. Yes, this deserves more discussion, but perhaps you’re hard to find? This is my first visit. Found you in a link within “The Brain Cafe” FB group. Now I’ll follow you. Thanks for the comments. Yes, I’d like to have more readers and more discussion. Actually, the discussion for many topics has been good, constructive and helpful. When I post I “advertise” a little, on twitter and Facebook. (but I need to post more). I agree about the relation between “agency” and “conscious agency”; they probably should be adjacent, but I’ll leave them for now. I’m working on a pretty elaborate theory of the development of the feeling of force and agency. The beginnings are in the post on “The Qualia of Force“, but needs lots more elaboration.